Screenprinted, silver on blue poster, size approx. 12×33 inches (31×84 cm). 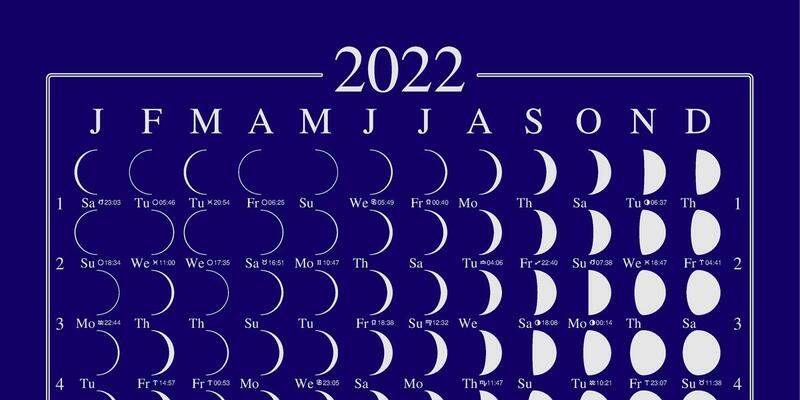 This Moon Calendar shows the phase of the moon for every day, as well as dates and times of full and new moons, the first and last quarters, eclipses, the moon's zodiac sign ingress times, the solstices and equinoxes, etc. Some answers to some frequently asked questions to do with the movements of the Moon, Earth and Sun, and so on. Draws the night sky on screen. 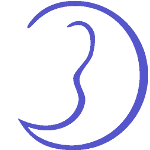 Shows lunar phase, with over 9000 stars, Sun, Moon and planets, constellation names and boundaries, etc. Month-by-month diary/planner showing Moon phases, for printing in A4 or A5 format. You can buy the calendars direct from me here, and pay by card or PayPal (or cheque or bank transfer by arrangement). If you’d prefer to buy from a shop, there are quite a few stockists about here and there, and in smaller towns often wholefood shops like to stock the calendar it seems, so please do support your local shop if possible! If you’re in central London, one of the more fascinating and esoteric of the shops that sell this calendar is The Astrology Shop, to be found at the top end of Neal Street, just off Shaftesbury Avenue. Well worth a look!